Tyson Roberts – Do executive election rules matter in authoritarian regimes? This is a guest post by Tyson Roberts, lecturer at UCLA and UC Irvine. It is based on his article ‘The Durability of Presidential and Parliament-Based Dictatorships’ in Comparative Political Studies, June 2015, vol. 48, no. 7, pp. 915-948. An earlier version of this post appeared at The Monkey Cage. 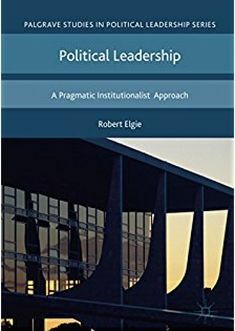 Many of the recent presidential elections covered in this blog – e.g., in Togo, Kazakhstan, and Sudan – occurred in states that many political scientists do not consider to be presidential regimes. The category “presidential regimes” is often restricted to presidential democracies, and in such data sets, democracies are states in which incumbent parties lose elections. In nondemocracies such as Togo, Kazakhstan, and Sudan, many political scientists care little if the leader calls himself president, prime minister, or chairman of some military council. Nor do they care if the executive, president or otherwise, is elected directly or indirectly. Although recent cross-national research has recently paid attention to parties and elections in authoritarian regime legislatures (see here, here, and here for examples), election rules at the executive level in dictatorships are generally ignored in cross-national research. If the ruler cannot lose the election, the conventional wisdom assumes, then the rules for that election are unimportant. In a forthcoming article, however, I find that election rules for the executive in dictatorships affect a number of outcomes, including regime durability and economic growth. Even if the executive has no intention of losing the election, the rules by which the election is held helps shape inter-elite dynamics in ways that have both economic and political consequences. These issues are particularly salient in recent years, since the majority of authoritarian regimes do hold multiparty elections for the executive office – in most cases, for the office of president. According to the data used for the paper, most non-monarchy dictatorships prior to 1994 did not hold contested elections at the executive level (the paper does not consider monarchs, since this type of executive is never elected). The most common “executive selection system” during the Cold War was “Unelected”; either no elections were held or elections were uncontested plebiscites. With the end of the Cold War, a surge of contested Presidential systems (in which opposition parties can compete on the direct ballot for president) emerged in dictatorships, particularly in sub-Saharan Africa and former Soviet Republics in Eastern Europe, and Central Asia. By 1995, contested Presidential systems were the most common form of executive selection system in authoritarian regimes worldwide. Meanwhile, approximately 5-10 countries per year, both during and after the Cold War, used what I call a Parliament-based system, in which contested elections are held for the legislature, and the legislature elects the executive. In some cases, the executive is a Prime Minister (for example, in Singapore, Malaysia, and Cambodia). In other cases (such as Botswana and pre-2005 Egypt), the executive is a President that is elected indirectly through the legislature rather than directly by the voters. In some cases, the executive of a Parliament-based system can be voted out at any time by a majority of the legislature, in others, the executive remains in office until the end of his term, at which time he must be confirmed by the legislature. Pre-2005 Egypt was an interesting case: the multiparty Parliament was empowered to elect the president with a two-thirds majority, and then voters confirmed that election in a referendum. Figure 1. Frequency of non-monarchy authoritarian regimes with Unelected (including single party) and multiparty Elected (Parliament-based and Presidential) executive selection systems, 1975-2012. PRES = Presidential; PARL = Parliament-based. If authoritarian leaders cannot be removed from office by election, then why should the executive selection system matter in authoritarian regimes? The answer begins with the fact that authoritarian regimes centered on an institutionalized ruling party tend to be more durable than regimes based upon the military or upon a personalistic leader and his clique. A party-based regime tends to share power with a broader set of elites; these elites have an incentive to work together to keep the party in power. In military regimes, on the other hand, many officers prefer to hand power to civilians in order to preserve the unity and reputation of the armed forces, and they can enforce an attractive exit agreement with the threat of a future coup, leading to brief spells in power. In personalistic regimes, the basis of support is narrow, which makes holding executive office more lucrative but also less secure than is the case for a party-based regime. Using the data from my analysis, I calculate the average risk of regime failure by dividing the number of failures by the number of country-years: a military regime has a 12% chance of failure (meaning democratization or transition to a non-military authoritarian regime) in a given year, a personalist regime has a 6% chance of failure, and party-based regimes have just a 3% chance of failure in a given year. If a party-based regime has a Parliament-based executive selection system, the power-sharing and regime-sustaining effects of a party-based regime are amplified. The executive relies upon party members to win legislative office and then support his candidacy. In a Presidential system, on the other hand, the executive runs for office directly, and so relies less on party members, and may rely relatively more on the armed forces to repress voting in opposition areas. These dynamics help explain why many of the most durable dictatorships are party-based regimes that maintained a Parliament-based executive system: for example, Malaysia, Singapore, and Botswana. For party-based regimes with a Parliament-based system generally, the average risk of regime failure is less than 1% in a given year, while the risk of regime failure for party-based regimes with a Presidential system is 5%. In other words, the durability of Party-based systems is in large part the result of regimes with a Parliament-based executive selection system. However, it may be misleading to treat election rules in dictatorships as an independent cause of regime failure. Whereas democracies seldom change the rules to elect the executive, the executive selection system in authoritarian regimes can be changed by ruling elites. Weak regimes may be more likely to choose certain election rules, making such rules a marker but not an influential factor. One way to test whether the executive selection system has an effect on regime survival is to consider cases where an ongoing regime changed its system, and compare those cases to regimes that kept the same system. Rulers of regimes with a Parliament-based system often wish to change the rules to enhance the visibility and legitimacy of their post, and to strengthen the executive office relative to the legislature. Regimes who changed from a Parliament-based to a Presidential system have higher failure rates than those that kept the Parliament-based system. There are nine cases since 1975 in which the system was changed from Parliament-based to Presidential, and in all but two cases (Togo and Zimbabwe), the regime later failed. In Egypt, Mubarak’s predecessor Sadat replaced single-party elections with contested elections at the parliamentary level in 1976. This Parliament-based system survived for nearly 30 years until 2005, when Mubarak adopted direct elections for the presidency. In Yemen, the constitution was amended in 1994 to shift the system from a multiparty Parliament-based system to a direct-vote presidential system. In Mongolia (1993) and Serbia and Montenegro (2000), the ruling party won re-election in a Parliament-based system, changed the rules to a Presidential system, and then lost power within a year by losing the first presidential election. More generally, regimes that maintained a Parliament-based system have a 2% chance of failure in a given year, while regimes that switched from a Parliament-based to a Presidential system have a 6% chance of failure in a given year. However, this analysis does not preclude the possibility that regimes headed toward failure adopt a particular set of rules along the way. To make an apples-to-apples comparison between regimes with different rules, I use statistical analysis to understand which dictatorships are most likely to adopt a Parliament-based system rather than a Presidential or Unelected system. I find that contested election systems are more common in dictatorships with relatively high-income levels and low reliance on foreign aid and oil exports. Among these, personalist regimes are more likely to use a Presidential system, while party-based regimes are relatively more likely to use a Parliament-based system. After controlling for these predictors of executive selection system, the Parliament-based system remains effective in promoting dictatorship survival. In other words, dictatorships that share power among many party elites are more likely to maintain a Parliament-based system that institutionalizes their power against the executive, and such power-sharing in turn promotes the ability of those elites to remain in power. Dictatorships in which more power rests with the executive are more likely to adopt a Presidential system that centers power in his hands; this concentration of power promotes survival of the president as long as the regime endures, but undermines the survival of the regime more generally. To understand further how the Parliament-based system extends the lifetime of party-based dictatorships, I have found a number of intriguing patterns that fit with this story. Economic growth is particularly high in such regimes; Singapore, Malaysia, and Botswana are just a few examples. These regimes are also stable politically, with few cabinet shake-ups or military coups. In short, the benefits for citizens from multiparty elections in dictatorships are particularly common in those with certain institutional features: a Parliament-based executive selection system and a strong institutionalized party. However, once an authoritarian ruler frees himself from the constraints of a Parliament-based system, citizens have little hope of implementing such constraints. I found no cases during the years covered of a Parliament-based system replacing a Presidential system in a surviving dictatorship. Tyson Roberts is a lecturer at UCLA and UC Irvine. His research interests include comparative political institutions, democratization, international political economy, and the politics of economic development. This entry was posted in Presidentialism and tagged democracy, presidentialism on May 14, 2015 by Robert Elgie.